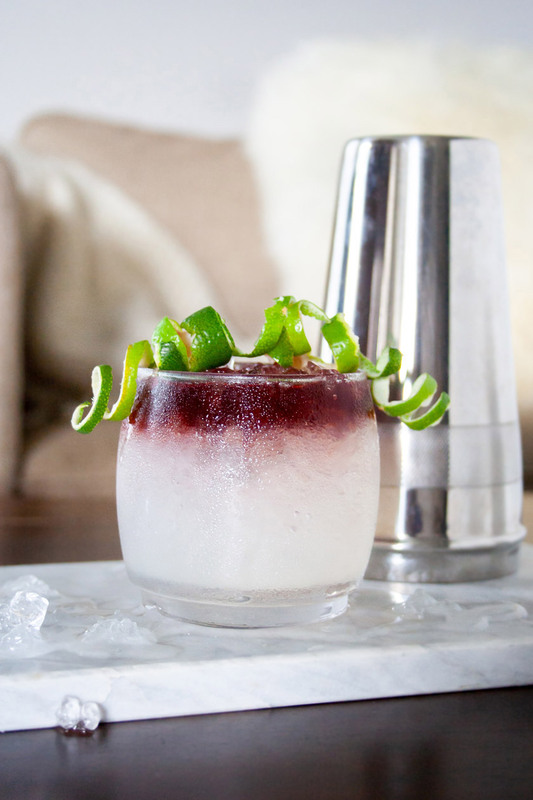 A classic lime margarita with a ruby Port float. We love this new take on a margarita. If you missed the news this week, I’m taking over Liquor.com’s Instagram with some of my boozy creations. Needless to say I was running around with my head cut off trying to figure out the perfect cocktails for the occasion. Who knows if I actually picked the right ones but too late now, right? It’s going to be a fun week and I look forward to meeting some new faces along the way. To go along with the take over, I thought I’d expand further on what each cocktail is and how I came about it, here on the blog. So hunker down, I’ve got 4 new cocktails coming to you this week and I really think you’re going to like them. First cocktail up is a Port of Margarita. This is my classic fresh lime margarita with a port float on top of it. It’s citrusy, a touch sweet, and a hint of berry from the Port. For this one I started at my roots. I live in Texas, which it’s well known for it’s margarita culture. You can’t throw a stone without hitting a margarita happy hour. Which leads me back to when I was fresh out of college. Up until that point the only mixology I had partaken in was my famous trash can punch. I was a broke post graduate student and so broke, I couldn’t exactly afford a margarita..even on happy hour. So, I went home one day, twisted open a crusted over bottle of tequila and prayed to the agave gods. What I got wasn’t a bad cocktail, it just wasn’t great either. Which is what drove me into a need to know how to make a great margarita. That’s it, that’s how it happened. I dived into cocktail culture with a deep rooted classic and never looked back. What everyone failed to tell me is that I should have just gone to happy hour. You don’t come to appreciate fortified wine and vegetable spirits without breaking the bank. Welcome to cocktail culture, we’re all a little broke here but rich with flavor. 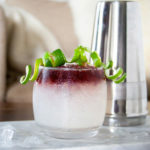 Fresh lime margarita with a port float on top. Similar to a frozen swirled margarita made with sangria. 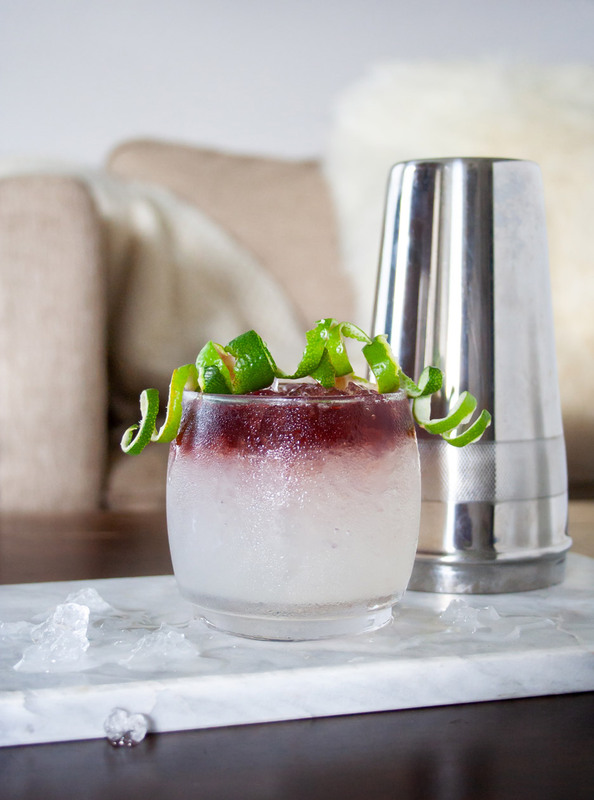 This tequila cocktail is light, crisp, and slightly sweet. In a shaker of ice vigorously shake together tequila, lime juice, orange juice, and agave. Strain into a rocks glass full of ice (rim salted or unsalted). Using the back of a bar spoon pour in a float of ruby port to the lip of the glass. Garnish with lime. I’ve made a lot of margarita’s in my time but this is my favorite recipe. I created it right before I got married and was trying to fit into a wedding dress. While I loved Cointreau, I didn’t love the calories of it. I dropped it for freshly squeezed orange juice. It adds that little balance it needs but you miss sans Cointreau. To this day I’ll still make it this way. The Port float in this came from the idea of those margaritas that come frozen with the sangria purple swirl mixed into them. Like most of us though, I’m too lazy to pull out a blender 90% of the time to make them. This is a wonderful recreation to that concept. The Port adds a depth and elevated flavor profile to tequila and citrus. I use Ruby Port which gives it this lovely berry finish. I also highly recommend subbing out Silver Tequila for an Anjeo and Tawny Port if you’re looking for something more earthy and smoky. So that’s the first day’s cocktail for my take over. I hope you’ve enjoyed this deep dive into how this cocktail came to be and inspirations that surrounded it. If you want to follow along this week check out Liqour.com’s Instagram for more updates from me. I’ll be back tomorrow with something that brought out the food lover in me. Cheers!